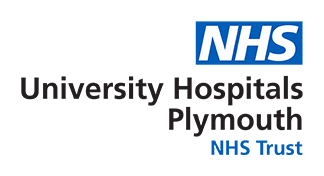 The Chemotherapy Unit is situated on Lyd Ward on level 5 of Derriford Hospital and is staffed by a friendly, dedicated team of specialist nurses. The service covers a population of 480,000 spanning East Devon, west Cornwall, and the city of Plymouth. Systemic Anti-Cancer Treatment (SACT) is delivered largely within the acute hospital trust setting, either on an inpatient basis on Brent and Bracken Ward or in the Chemotherapy Outpatient Departments on level two (Oncology day unit, OncDU) and in Birch Day Case Unit, level 8 (Haematology Day Unit, HaemDU). Much of our population is rural, with long travelling distances to the main hospital. We remain committed to providing the delivery of chemotherapy outreach within local community hospitals and have units at Tavistock, Liskeard, and Kingsbridge. Outreach provision continues to increase. The service supports the full spectrum of cancer sites in both paediatric and adult patients. It includes a tertiary referral service for allogeneic stem cell transplantation. All chemotherapy delivery routes are covered e.g. intravenous, subcutaneous, oral, intrathecal and intrahepatic. We have an active clinical trial research portfolio. Because of the broad nature of the patients treated with chemotherapy there are several different pathways by which patients are assessed for chemotherapy, i.e. pathways are specific to Inpatient and Outpatients delivery and also differ between Haematology and Oncology. There is a robust standard operating policy between pharmacy and clinical areas which works well to meet the needs of the patients.